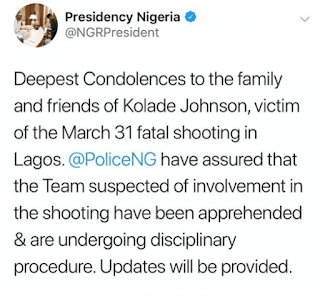 Nigeria’s Presidency in it condolence message to the family of Kolade Johnson, disclosed that the the team suspected of involvement in the shooting have been apprehended & are undergoing disciplinary procedure. 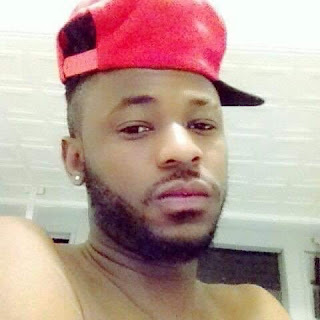 Deepest Condolences to the family and friends of Kolade Johnson, victim of the March 31 fatal shooting in Lagos. 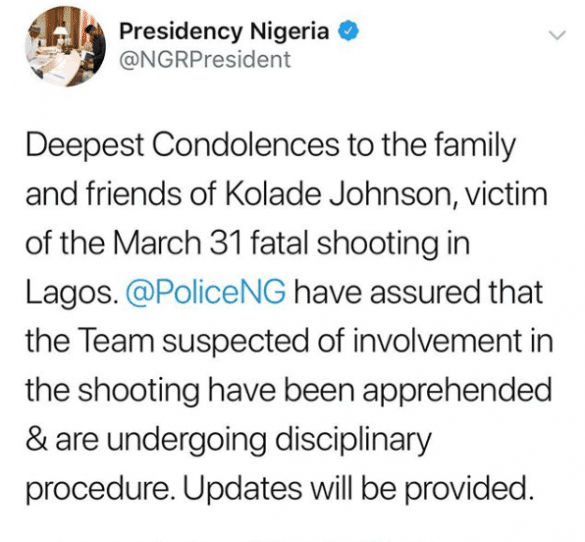 @PoliceNG have assured that the Team suspected of involvement in the shooting have been apprehended & are undergoing disciplinary procedure. Updates will be provided.